Rarely does a photographic event this big and exciting come to the Midwest. Join Miller’s in Convington, Kentucky (the greater Cincinnati, Ohio area) for PhotoPro Expo 2013, February 8-10. Learn from 26 incredible speakers presenting nearly 40 programs. The speaker line-up includes National Geographic photographer, Joe McNally; Photoshop guru, Julieanne Kost; wedding photographers Zach and Jody Gray; top shooter, best-selling author and social media expert, Rick Sammon; Saturday Night “Live” HDSLR legend, Alex Buono; and more. The cost is only $159 for VIP members and $179 for non-members. PhotoPro Expo 2013 will be held at the Northern Kentucky Convention Center, and events include programs, speakers, individual portfolio reviews and a trade show. 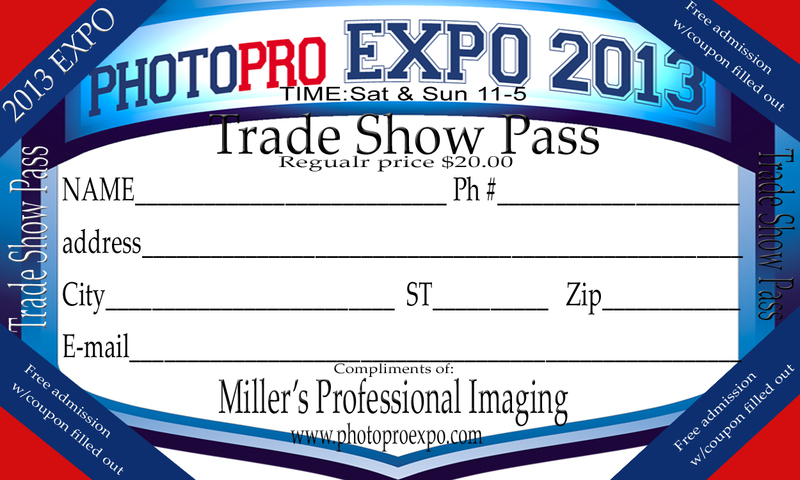 Click here for a free Trade Show Pass or find more details and register now at http://photoproexpo.com/index.php.